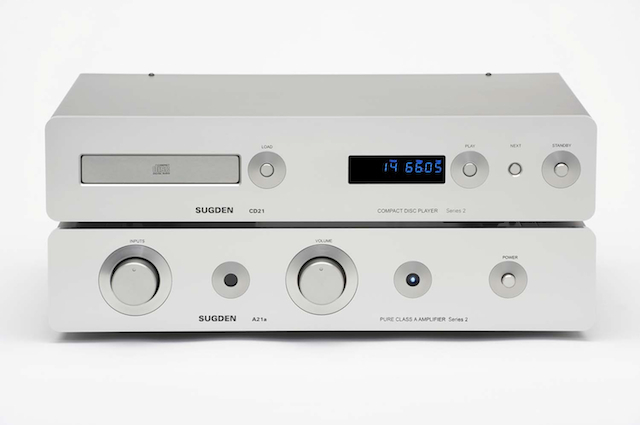 The Sugden A21a Pure Class ‘A’ Integrated Amplifier has a lineage stretching back nearly 50 years. 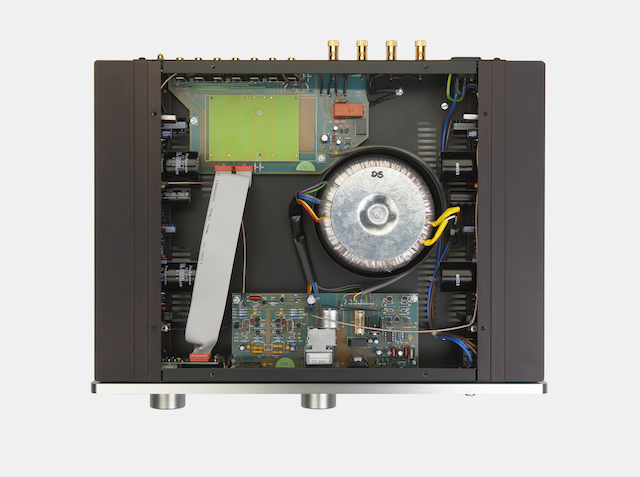 In 1964 James Edward Sugden designed and produced the worlds first commercially available solid state pure Class ‘A’ amplifier the A21.The initial A21 was sold under the Richard Allan brand name, which had an established quality line of loudspeakers. In 1967 the A21 was marketed under the Sugden brand name. The A21 was for the audiophile the first experience of high fidelity music reproduction in the home. The latest version, the A21a was released in 1989 and was essentially unchanged for 18 years.The current A21a, now Series 2, was released in 2007 with the following upgrades: heavier chassis and strengthened case, 10mm thick aluminium front panel,remote volume, beefier power supply, deletion of the mono and tape loop switching and the balance control.This has enabled improvements to the pre-amplifier circuit by shortening signal paths. While the A21a has a legendary heritage it also maintains hand made standards becoming rare in the current automated and mass-produced manufacturing settings. The A21a is built to Sugden’s uncompromising standards, hand made and individually tested by people who take the same pride in their work as the true craftsman, composer or musician. The Sugden process starts with design and goes through the procurement of high quality components to detail and final assembly work and testing.Sugden manufacture in-house the metal cases, assemblies, knobs and parts and carry out the finishing processes, including screen-printing. The result is the A21a is an exceptional amplifier with a musical three-dimensional sound stage that will give you many years of pleasure and enjoyment. 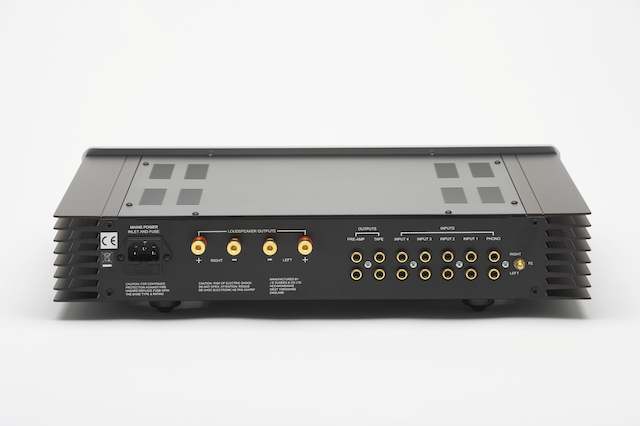 Inputs – Five line level or four line level with optional MM/MC phono board. Outputs – Pre-Amplifier Out (Variable), tape out (fixed) and one pair stereo multi-way binding posts. Remote Control – Volume up/down. Line Level Sensitivity – 170mV for maximum output. Phono Input Sensitivity – 3mV/Moving Magnet, 0.2V/Moving Coil for maximum output. Phono Loading – Moving Magnet 47K, Moving Coil 100 ohm. Power Output – 23 watts per channel into 8 ohms both channels working. Frequency Response – 10Hz to 20kHz +/- 0.5dB. Bandwidth – 6Hz to 200kHz +/- 3db. Signal to Noise – >83db. Dimensions – 92mm x 430mm x 350mm (HWD). Integrated Amplifier (Line Only). AUD$No longer available. Integrated Amplifier with MM/MC phono board. AUD$No longer available. 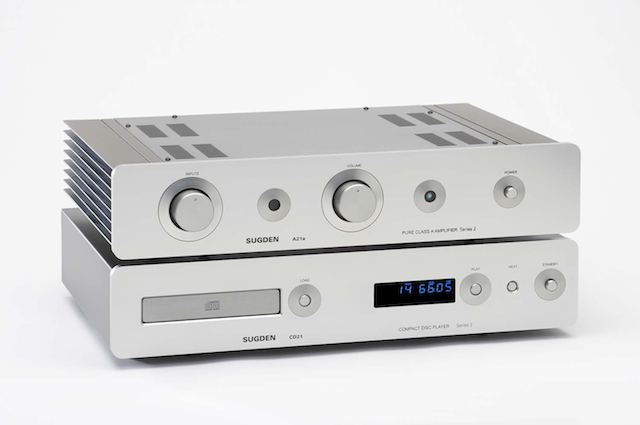 Sugden A21a Series 2 Pure Class ‘A’ Integrated Amplifier & Sugden CD21 Series 2 Precision Compact Disc Player.